The percentage of magazines with at least one (QR Code) code is up from 96% in Q4 2011. Overall, the total number of action codes printed increased to 1365 in Q1 2012 from 352 in the same period of 2011. The percentage of advertising pages with an action code may provide the most accurate measurement of mobile action code adoption. 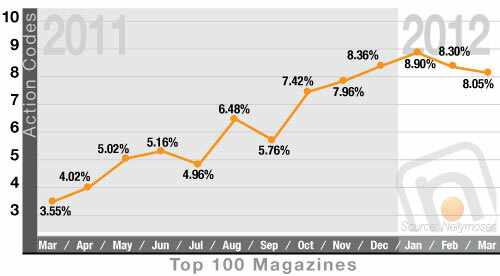 For the first time, the percentage of magazine pages containing an action code exceeded 8% each month in Q1 2012. Not quite, but it’s getting close. A Record 4468 Mobile Action Codes Appeared in Ads and Editorial Pages. QR Code Market Share Reaches 80%. The monthly count of codes printed in the top 100 magazines grew from 88 in January to 631 in December. Advertisers contributed heavily to the growth. The monthly percentage of codes from advertising increased from 87% in January to 96% in Q4. The average number of codes per issue grew – from 2.33 in Q1 to 6.50 in Q4. QR market share increased from 66% in January to 80% in December. Almost all codes in Q4 led to product demonstrations, branding videos, sweepstakes, e-commerce and/or social sharing sites. While Firefox may have stumbled in their effort to set a Guinness record for downloads in one day, it shouldn’t take anything away from what is a stellar browser update. I am a browser whore, no doubt about it. Truth be told, I left Firefox behind about a year ago in favour of OmniWeb which is a beautiful browser for the Mac that I have used on and off for about 5 years. However, as of yesterday I am back on the Firefox bandwagon big time. Firefox 3 is a major leap forward in overall speed and polish. But if you’re looking for one killer reason to download/use Firefox 3 – you must check out PicLens. 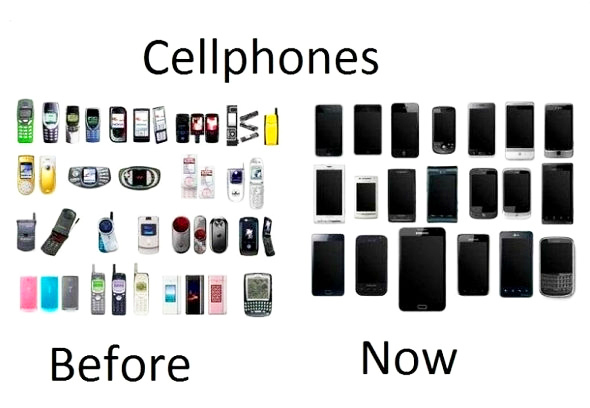 It is beyond cool, and borderline addictive.